‘Arrow ‘arrow – what’s goin’ on ‘ere? 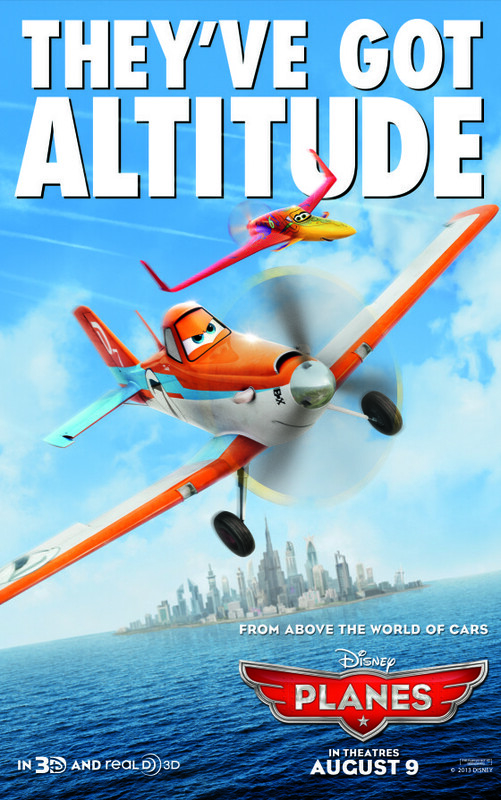 This Disney/Pixar adventure is such a departure from what we’ve been seeing from Pixar, that it knocked me completely off-guard. For starters, gone are the smooth, clean, plastic shapes, and clearly delineated edges, of characters such as those in Toy Story and Finding Nemo. Here, it’s gritty and rough – and the setting is grand, sweeping and mountainous. We even have a female director running the show, so this is fresh turf on so many levels. The story’s set in Scotland during those far-off agrarian times when each of the various clans held sway over its region. Our heroine, the young Princess Merida, whose bountiful, tousled mop of red hair is – I dare guess – a motif for her fiery, independent spirit, lives with her parents (King Fergus and Queen Elinor) and her little triplet brothers. Merida’s voiced – quite appropriately – by Glasgow-born Kelly Macdonald. Our olden-day-yet-new-age princess discovers early in the tale that she’s about to be married off. It’s tradition, so there’s little room for discussion. 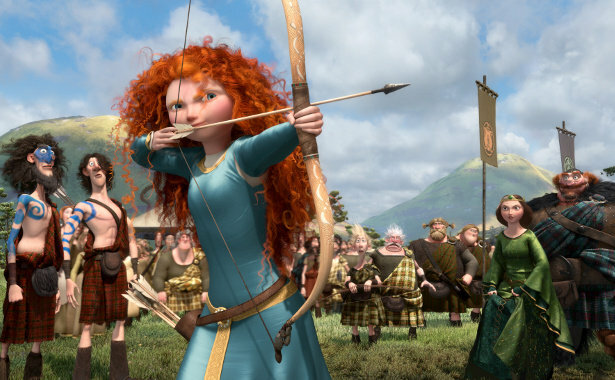 Merida’s a self-possessed lass – and, incidentally, a dab hand with a bow and arrow – and she’s not about to be farmed out to the first kilted hopeful who comes along. Therein lies our drama. I found Brave to be a relentlessly loud film – although that may well be because we previewed the movie at Montecasino’s Il Grande cinema – where the lads were eager to show off their new Dolby Digital 7.1 sound system. It should be noted that the Disney tag doesn’t automatically mean that the film’s appropriate for the littlies. It has elements that I found to be startlingly dramatic, such as a great big grizzly bear that crops up in the film much as the crocodile had done in the Disney classic, Peter Pan. It could be argued that my formative years established unreasonable expectations within me, but, if I see a bear in a Disney movie, I expect it to be cuddlesome. Yet, by my oath, there’s nothing huggable about this bear (even if one’s embrace could indeed encompass its furry girth). Again, this is quite possibly the ‘fault’ of the wonderful Il Grande cinema, which now boasts an even larger, post-revamp screen. So big screen, big sound, big bear; it definitely doesn’t add up to entertainment for the wee ones, who are bound to be terrified. 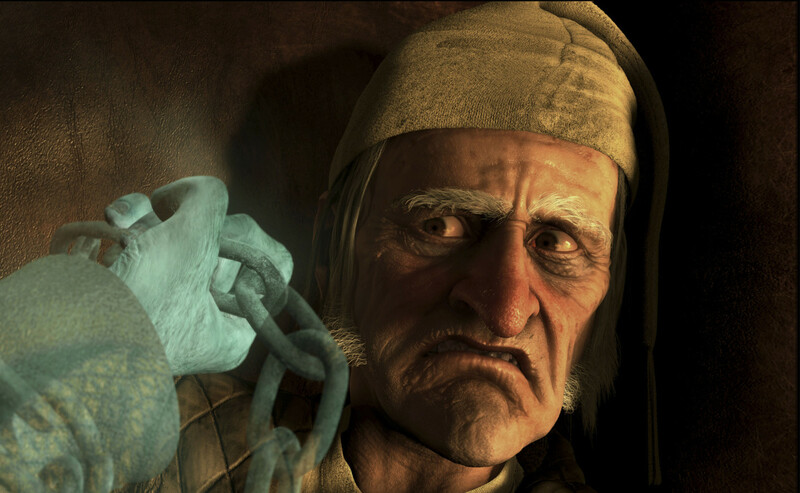 For the adults, there’s enough to relish, including the top-notch voice cast, from Billy Connolly (voicing Merida’s mountainous but loveable dad) and Emma Thompson (as the mom, Elinor), to Robbie Coltrane to John Ratzenberger (whose talented tones appear to have become a staple in Pixar productions). Having said that, the film’s feminism is a touch on the strident side, and the disarming charm of the bulk of Pixar’s earlier features is largely absent. I suppose that we can’t always expect Pixar to tick all of the boxes. 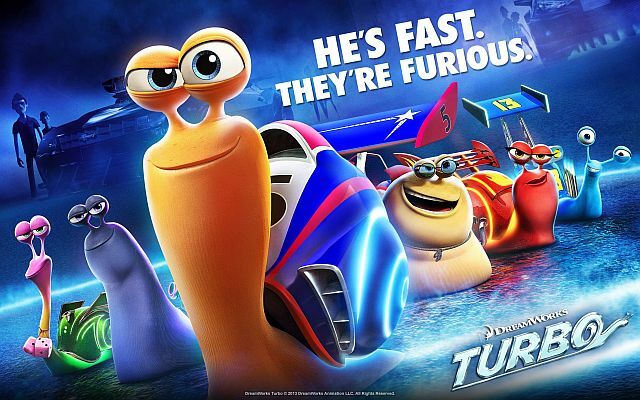 I believe that this beloved animation studio let the side down with the Cars movies (yes; both of them), and this film, too. It’s undoubtedly entertaining, but it doesn’t punch through as one of the studio’s greats. 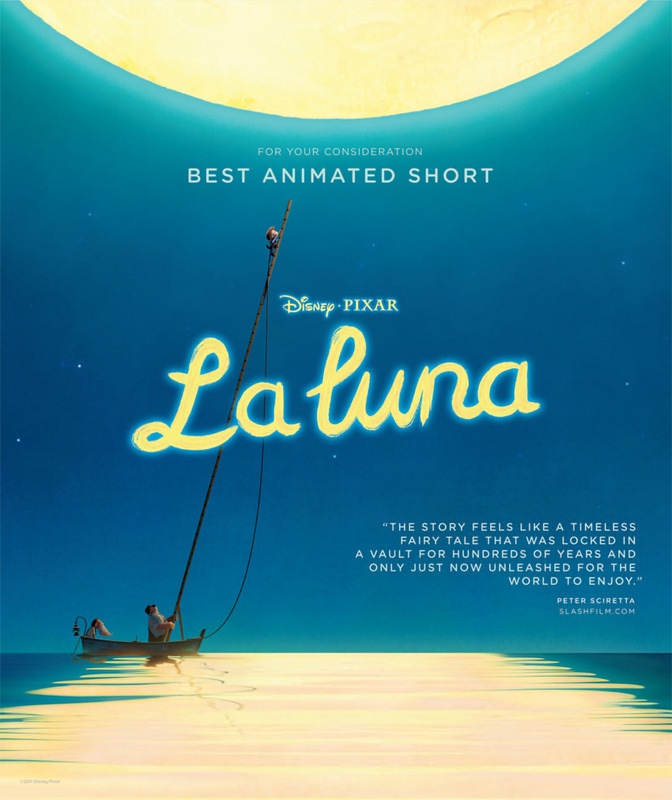 In fact, the highlight, for me, was the delightful, European-style Pixar cartoon, La Luna that precedes the feature. The guys at Fox Animation are really giving Dreamworks’ animators a good run for their money, with a franchise to run neck-and-neck with the Madagascar movies. The Pixar team should also be looking over their shoulders, even though the Ice Age series fails to deliver the emotional meat of most Pixar movies (and here I exclude Pixar’s Cars films, which I believe come in well below that studio’s standards). Prepare yourself for dramatic continental drift, avalanches, and rising and falling land masses, as the continents as we know them today are formed before our very eyes. (How the process is triggered, I shan’t reveal.) Through all of this geographical upheaval, a group of animals struggles to keep together and stay alive. Cue heaps of comic action, thrown in with some inter-‘personal’ dynamics (i.e. a daddy mammoth who’s having difficulty accepting the fact that his daughter has grown into a young lady, plus the unrequited love of a furry little burrowing creature). Then we have the crowd favourite, Scrat, who is, as always, in the pathetic pursuit of the ultimate acorn high. Into this crazily uneven mix, the creators of this wild adventure have also tossed a bizarre helping of Greek mythology, which is bound to thrill the academics… and possibly puzzle those who haven’t stopped over at Greek mythology 101. Those amongst us whose cultural references are somewhat more lowbrow, can look forward to an amusing little homage to that overrated, kilt-infested Mel Gibson epic, Braveheart. Special mention needs to be given to Wanda Sykes for her lively and endearing vocal performance of a granny sloth who becomes the prima buffo of the piece. She finds herself in the company of other fine actors, such as Peter Dinklage, Denis Leary, Queen Latifah, and John Leguizamo. 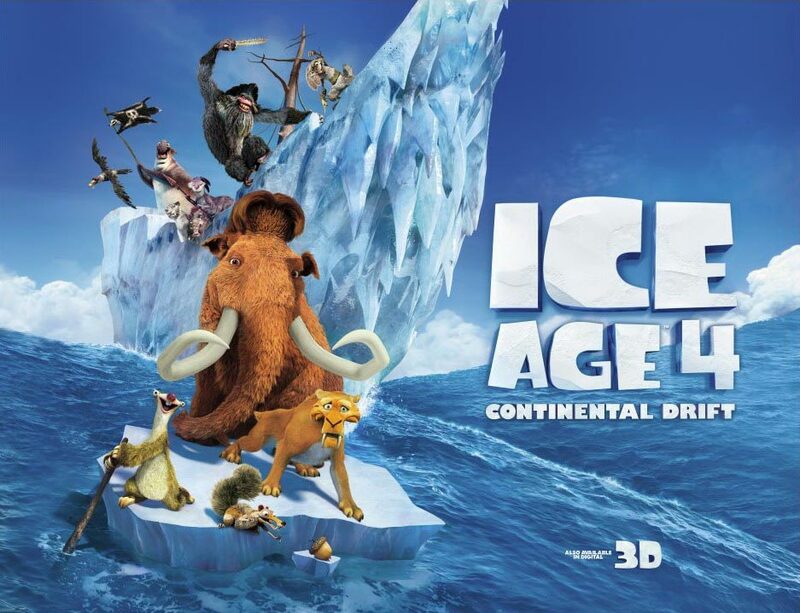 Ice Age 4’s overall entertainment value and likeable ensemble cast largely override its somewhat patchy conceptualisation. Really; it’s a fun ride. AND HERE’S A BONUS: the film is preceded by a hilarious and heart-warming 3-D Simpsons cartoon, which stars a largely overlooked character; Maggie, the youngest member of that celebrated TV family. This pre-feature surprise is worth the price of admission alone!